The Meriam PIT5000 is the premier instrument for conducting and documenting pipeline hydrostatic pressure tests. This device replaces your bulky and fragile dead weight pressure testers, pressure chart recorders, and temperature chart recorders with a rugged all-in-one solution. Test reports are automatically generated in two convenient formats, PDF and XLSX. The PIT5000 will pay for itself many times over by reducing time for set-up, tear-down and eliminating tedious, error prone manual data collection. In addition the real-time graphs allow you to see exactly what is happening, and focus on what is important, during the entire test process. 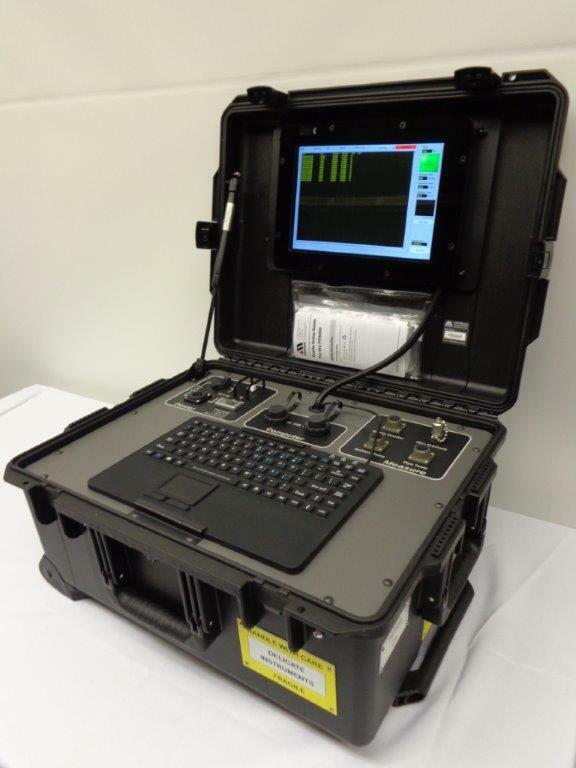 Meriam patented system provides reliable, automated data collection and storage, including test reports. Additionally, the software provides real-time graphs of pressure and temperature. Power options: Two 12 V dc sockets (one locking) which can be powered from the supplied 115 V ac to 12 V dc power supply/charger or a 12 V dc battery (optional or user supplied) using the supplied 25 ft locking cable. Both 12 V dc sockets can be used simultaneously for a short time to transfer power from one source to another, to provide uninterrupted power during a hydrostatic test.